Hey I’m Hannah, an American expat living in the French Alps. I blog about travel, life abroad, mindfulness and living with intention at C’est Simple. I enjoy being outdoors, putting intention into my day and lusting about my next travel plans. 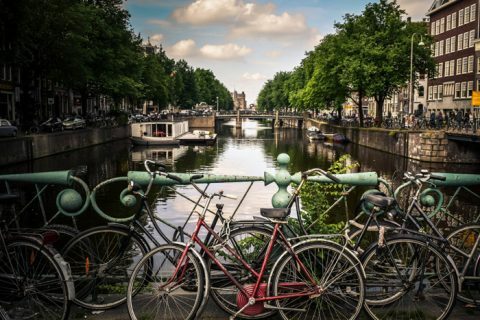 Amsterdam quickly conjures up images of the red light district, space cakes and wild nights. And while all of those things are true, the city has much more to offer than a bustling party scene.